EFCC, ICPC responsible for high-profile case losses – Buhari’s aide – Royal Times of Nigeria. 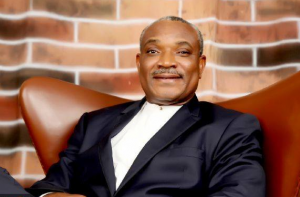 Special Assistant to the President on Prosecutions, Okoi Obono-Obla has said the Economic and Financial Crimes Commission and the Independent Corrupt Practices and other related offences Commission were not cooperating with the Attorney General of the Federation and Minister of Justice, Mr. Abubakar Malami (SAN). In an interview with Punch, Obono-Obla said the losses of high-profile corruption cases was not the fault of the minister but the agencies who defied Malami’s directives. He said, “Although the Attorney General of the Federation has the power under both the constitution and the Administration of Criminal Justice Act 2015 to make a request of any case file that is pending either with the police, the ICPC, the EFCC or any of the prosecuting agencies, we met a brick wall when we requested the files of the high-profile cases of former governors from the EFCC and the ICPC. “They don’t cooperate with us. We cannot use a whip to start beating them, but I expect that the rules of public service require that if letters are written by the office of the AGF, those letters should be honoured. ” AGF’s office had updated its list of high-profile cases”. “We will request the case files from the EFCC and the ICPC again,”.